My first trip to New York was my also my first experience with Sephora. 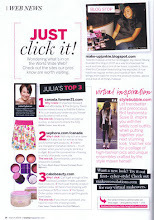 I had only heard of the brands Sephora carried from reading fashion and beauty mags. I'll admit, I was overwhelmed with all the choices and spent a good 3 + hrs trying everything and deciding what to get. I remember at the time, Stila was all the rage and the brand's click pen glosses were the first of its kind. I had to have a Stila Lip Glaze ($22 USD) so I snatched up Apricot (melon nectarine). I wore this gloss everyday after that and it is still the only gloss I have ever finished in my life time! 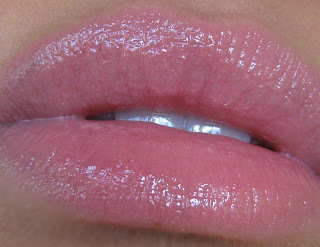 I was a little peeved that the glosses didn't last too long - maybe 2 months at the most and they weren't cheap either. Back then, the sizes of these glosses weren't as big as they are now. But after Apricot, that was the last time I touched a Stila Lip Glaze. Fast forward years later and I'm hooked again but this time I'm glad they are twice the size of the original gloss. I forgot how yummy these glosses were! There are so many gorgeous colours and finishes to choose from. These glosses are ultra shiny and makes your lips look kissalicious. The texture is on the thicker side which is good for long-lasting colour and shine, but at times it can feel a little tacky like when you're smothering a chubby baby cheek with kisses. Other than that, the lovely hues have me hooked. And I like the ease of application with just a twist of the pen, although when you first click, it's hard to know how much to click before it comes oozing out. But after that, one click is usually good enough. Watermelon (clear pink) is one of those "your lips but better" shades. The sheer hint of pink lets your natural lip colour shine through. Swipe on anytime anywhere, especially paired with khol rimmed eyes. 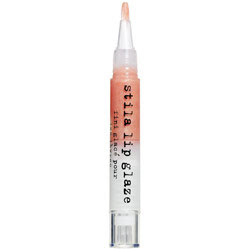 Have you tried Stila Lip Glaze? Love it? Hate it? i love them, but only had 1 before also. i might cave in again!